Bring your social events to the Stanford Park Hotel and experience luxury, sophistication, and warmth at a hidden gem wrapped in the charms of a famed university town. Here, the impeccable Northern California climate and the culinary artistry of one of Silicon Valley’s most celebrated restaurants meet in a lush courtyard filled with glowing fire pits, relaxing rocking chairs, and fresh herb gardens. Our inviting Stanford event spaces are perfect for brunches, birthdays, bar and bat mitzvahs, anniversary dinners and more! As a premier Menlo Park events venue, we are pleased to provide an array of catering options and can assist with music, transportation, and décor. 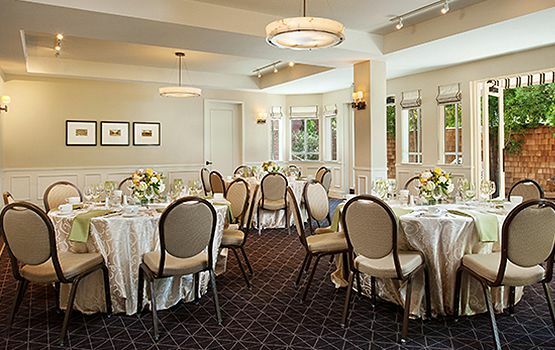 Our close proximity to popular event spaces such as Allied Arts Museum, Menlo Circus Club, and Sharon Heights Country Club, make us the ideal choice for your next gathering. We also ensure your guests will enjoy their stay as much as your celebration. Thoughtful complimentary touches include nightly wine receptions, bikes to borrow, in-room snacks, and freshly made turndown treats. Inspired by the architectural detailing of Stanford University, this room is decorated with a hand-painted mural of the University’s famous Quad and Memorial Church. French doorways line the entire length of the room, enabling guests to stroll out to the elegant patio, abundant with foliage and seasonal plantings. 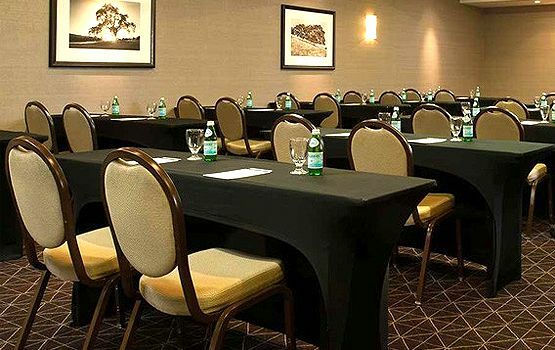 Traditional and elegant, the Menlo Room can be easily adapted for a variety of events and set-up styles, functioning as a flexible event space. 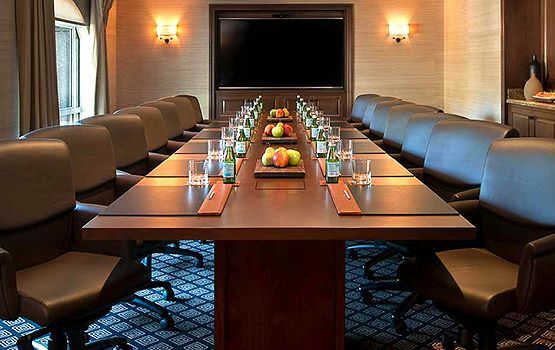 Located on the ground floor of the hotel, the Menlo Room is in close proximity to the lobby and patio. The Los Altos Room is located on the fourth floor and overlooks our stunning patio. It is the perfect spot for events of up to 16.